When we founded our firm in November 2004, our goal was to create a different firm: innovative, independent, flexible; in short, a unique advisory firm model.We are delighted to help you discover and feel the Accuracy difference. 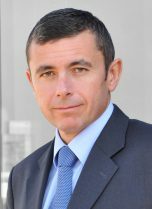 Frédéric Duponchel is the managing partner and CEO of Accuracy. He started his career in 1988 within Arthur Andersen in Paris, where he became a partner in 1999. In 2004, he founded Accuracy with former Arthur Andersen colleagues; he has been leading the firm since its creation. During his career, Frédéric has been involved in a large number of transactions, many of which taking place in international contexts, and has worked with both corporations and private equity firms. He has also been involved in litigation and arbitration cases and has testified several times.